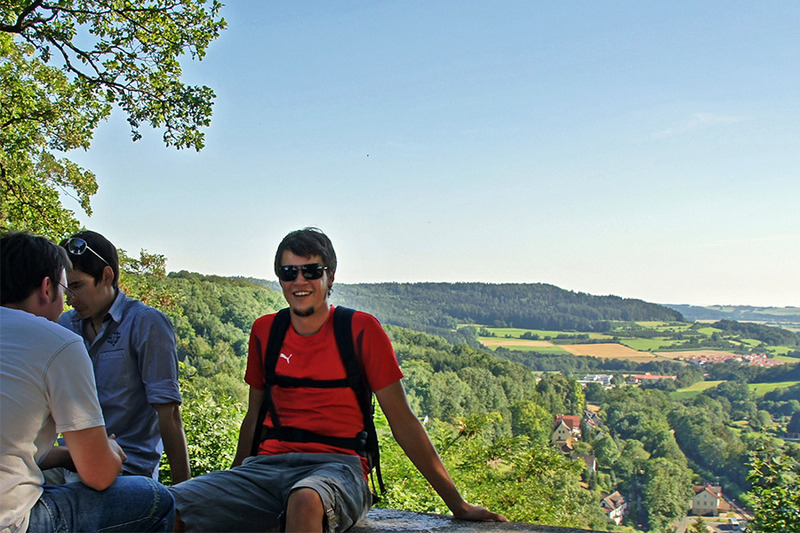 Fünf-Seidla-Steig is a hiking trail (“Steig”) in FRANCONIAN SWITZERLAND (Fränkische Schweiz). 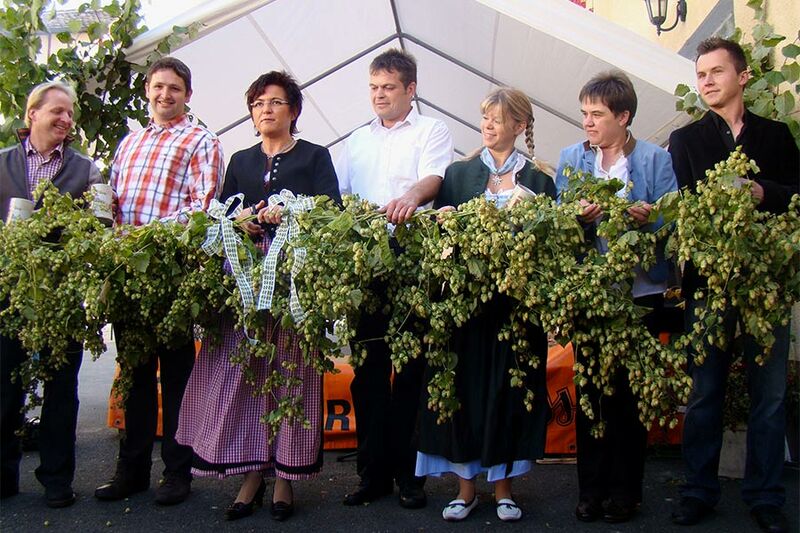 It connects five (“Fünf”) Franconian breweries where you are invited to taste a “Seidla” – half a litre of beer. 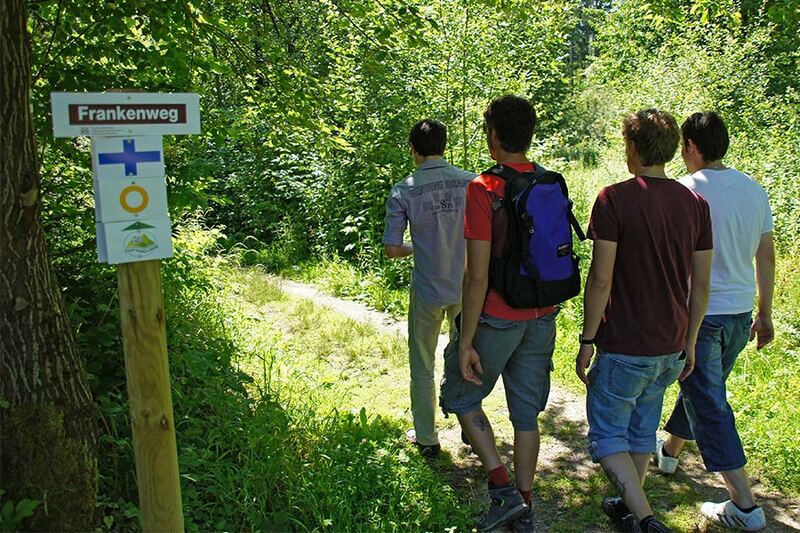 Leading along trails and footpaths within a scenic landscape the Fünf-Seidla-Steig offers all the treats related to hiking in Franconian Switzerland and stopping over in typical brewery inns; a wonderful walk through wood and meadow landscapes, hearty beer tastings and Franconian delicacies. 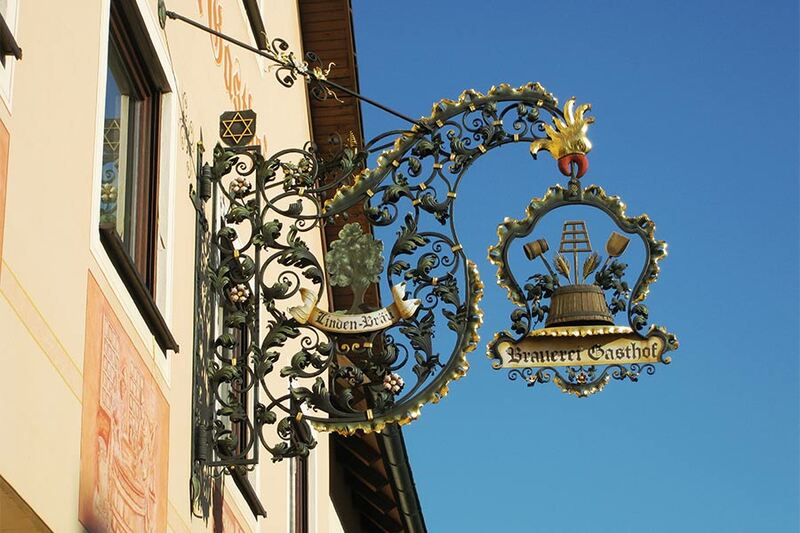 The one way distance is 10 km and comfortably leads you to the five breweries in the region of Gräfenberg. 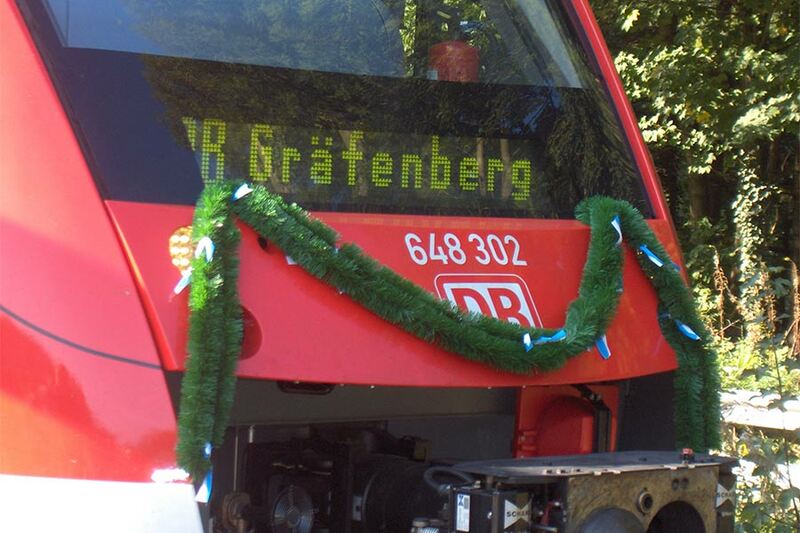 You can also do a 19 km round trip, that leads to one of the train stations and travel back to the bigger towns like Nuremberg or Erlangen by the local train called “Gräfenbergbahn”. 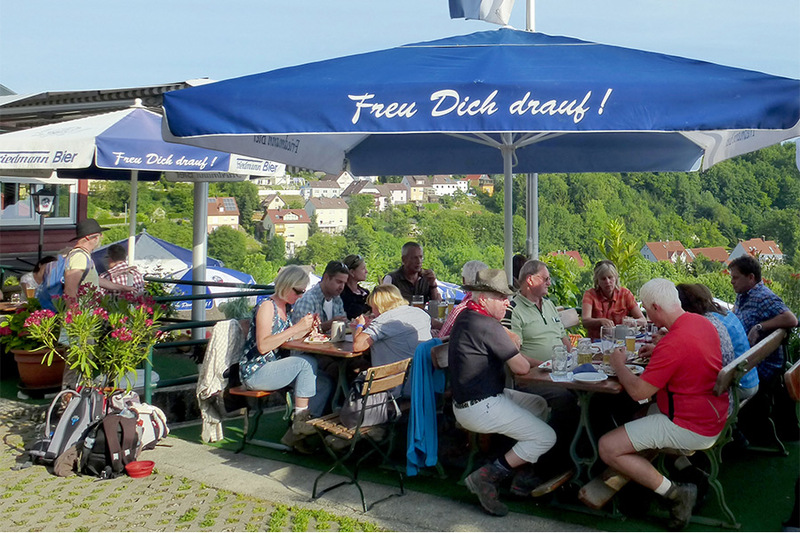 With a COLLECTORS CARD (available in our breweries and inns) you can purchase our FÜNF-SEIDLA-STEIG-BEERMUG with changing motifs for a discounted price at the end of the hike. Pictured here: Urban Winkler, Franz Winkler, Barbara Friedmann-Merkel, Ralf Stockum, Sigi Friedmann, Georg Kugler, Irene Brehmer-Stockum, Elfriede & Martin Hofmann on the opening of the trail on September 27th, 2008.